Mosaic is spread all around the world; including Lebanon. Should you ever visit this beautiful country in the Middle East, make sure you visit Beiteddine Palace; which means the House of Faith, in Chouf. It took a long 30 years to build the Palace. It is made of three main courtyards, huge vaulted stables, small museums, guest apartments, water fountains, marble portals and marquetry, and luxuriously decorated and domed hammams. Beiteddine was the place where mosaics excavated from the ancient city of Porphyrion were kept safe throughout the many wars that ravaged Lebanon. The restored stables are the home of a considerable collection of Byzantine mosaics. According to the Greek inscriptions, they go back to the 5th and 6th centuries A.D. The largest mosaic in this collection comes from what was found left from a Byzantine church in Jiyyeh, south of Beirut. Some mosaics are also laid in the beautiful gardens near the stables. The reception wing is decorated with mosaic floors and walls covered with carved marble, sculptures and inscriptions. 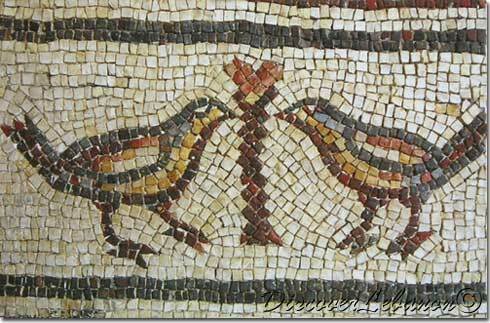 It is thought to be one of the most spectacular mosaic collections in the eastern Mediterranean, if not the world. Did you schedule a visit yet?